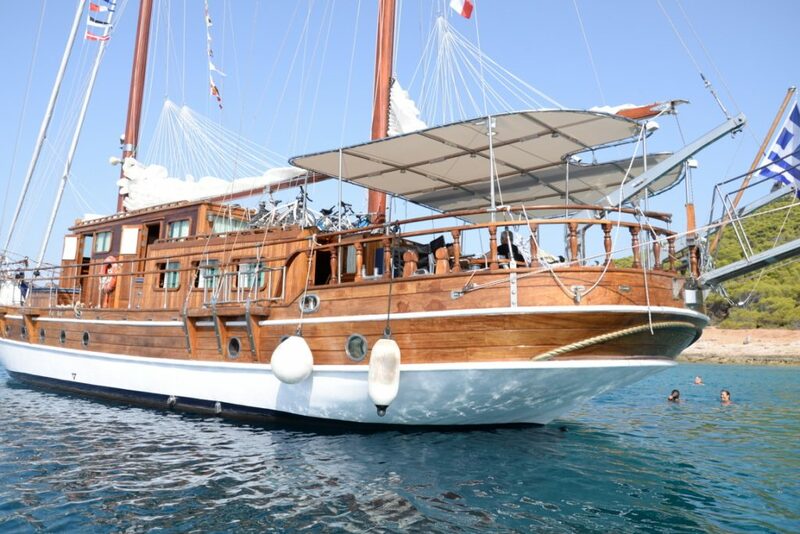 Apollon is an wooden ketch made by artisan ship builders in Greece in 2014 featuring four fully operational sails. 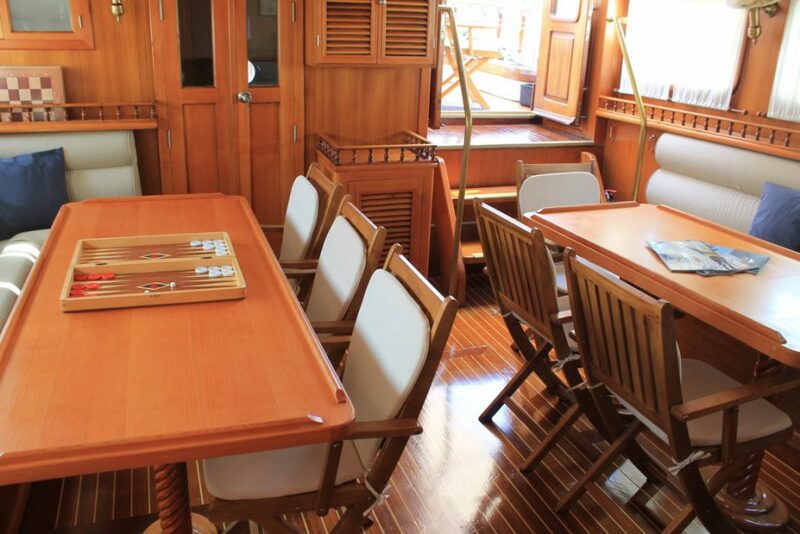 With its teak deck and mahogany interior it oozes tradition and originality to make for an authentic island hopping experience. 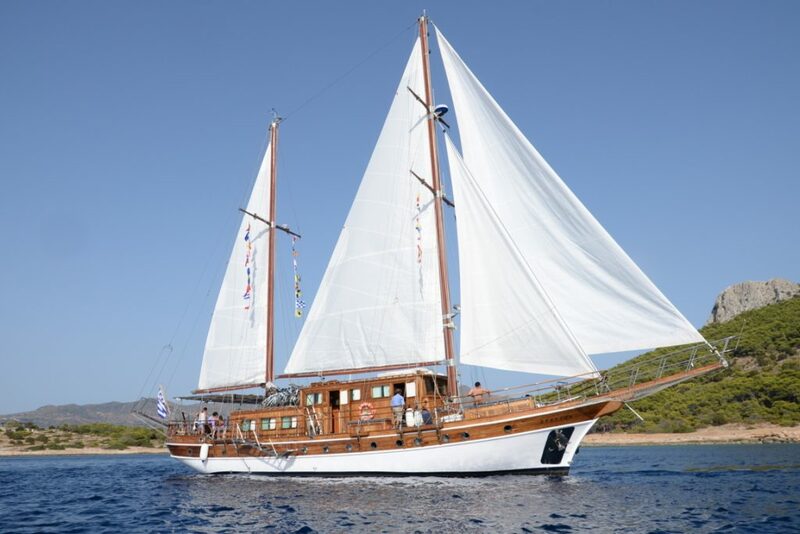 Take in the Greek island ambience from the comfort and flexibility offered by an exclusive yacht charter. Our skilled and discreet crew will take you to remote bays and coves for swim stops away from the crowds and will make this a smooth and enjoyable voyage. Its seven cabins also include some with one or two single upper berths making it flexible enough in terms of passenger capacity. 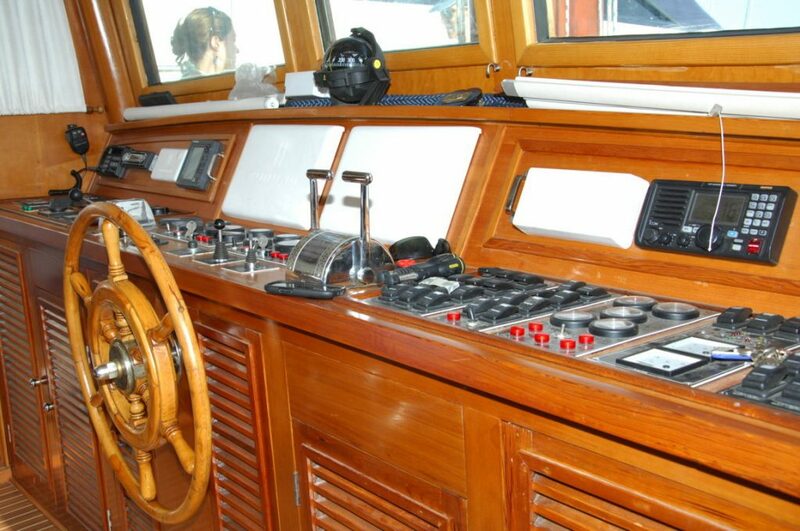 Extra equipment includes tender with outboard engine, bicycles, snorkelling gear, fishing gear and sea kayaks. Scuba diving optional. 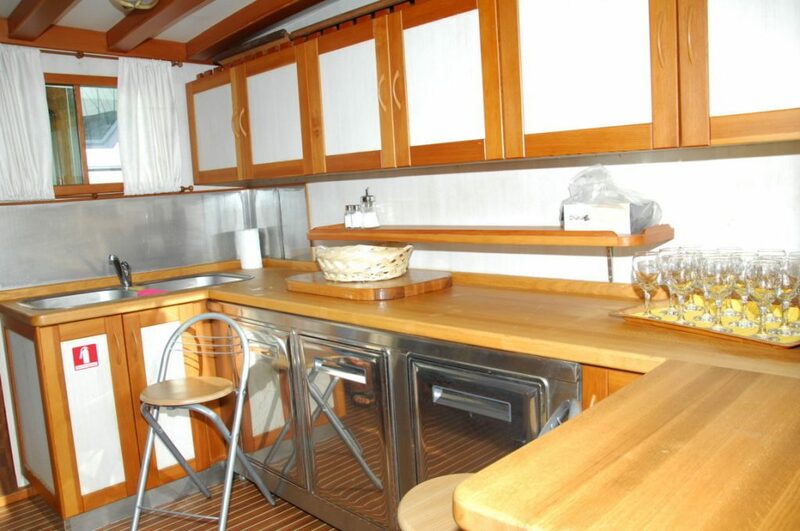 The master cabin is 25 sq. 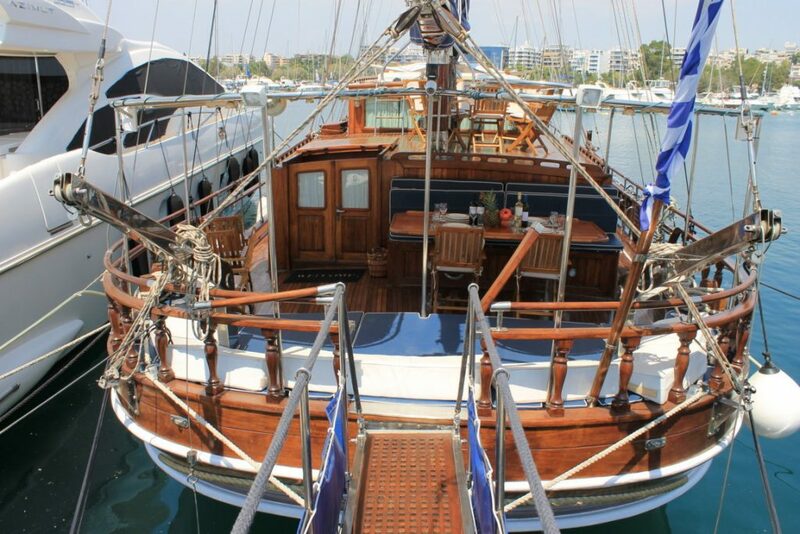 metres and has a double bed and two upper berths, plus it has a private en-suite WC, shower with hot water, sink and towels. This cabin is fully air conditioned. Four cabins which are 16 sq. 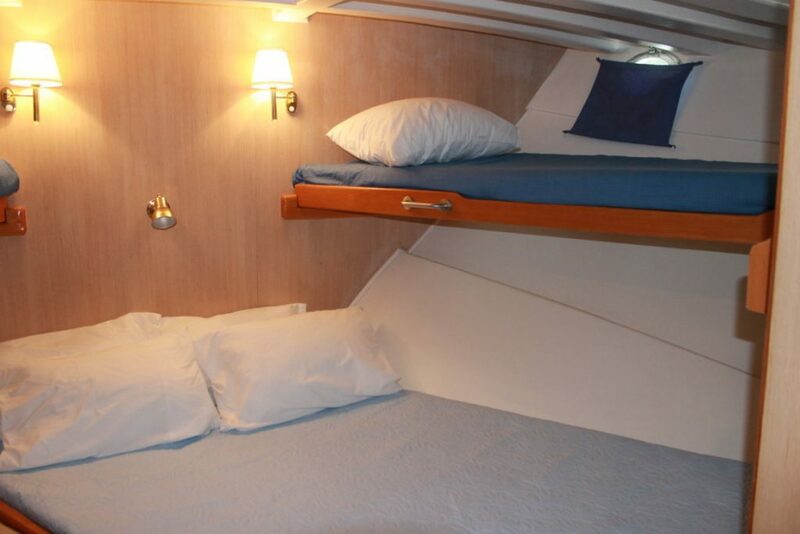 meters, have a double bed plus upper berth. One cabin which is 16 sq. meters and has two twin beds. One cabin which is 8 sq. meters and has 2 twin beds. All cabins have private en-suite with WC, shower with hot water, sink and towels, plus they are fully air conditioned. 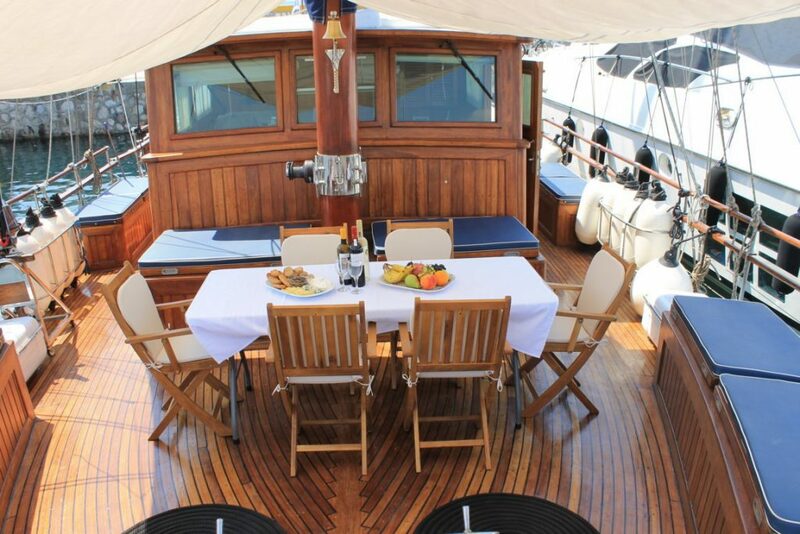 All cabins are situated on the lower deck.